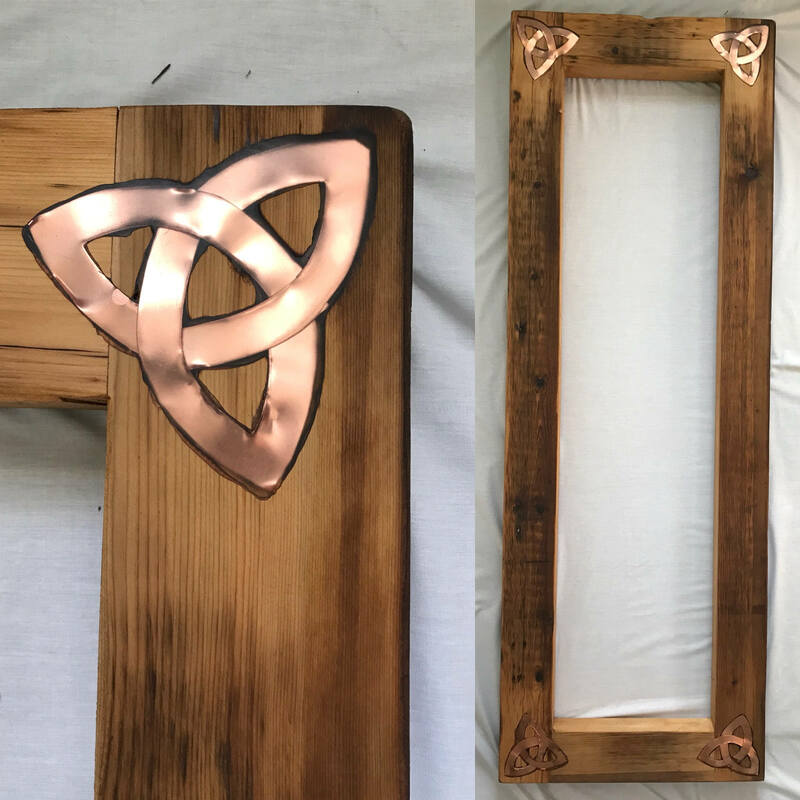 Full Length Mirror Frame with Reclaimed Wood and Copper Inlay. This beautiful, full length mirror frame is handmade from reclaimed lumber. 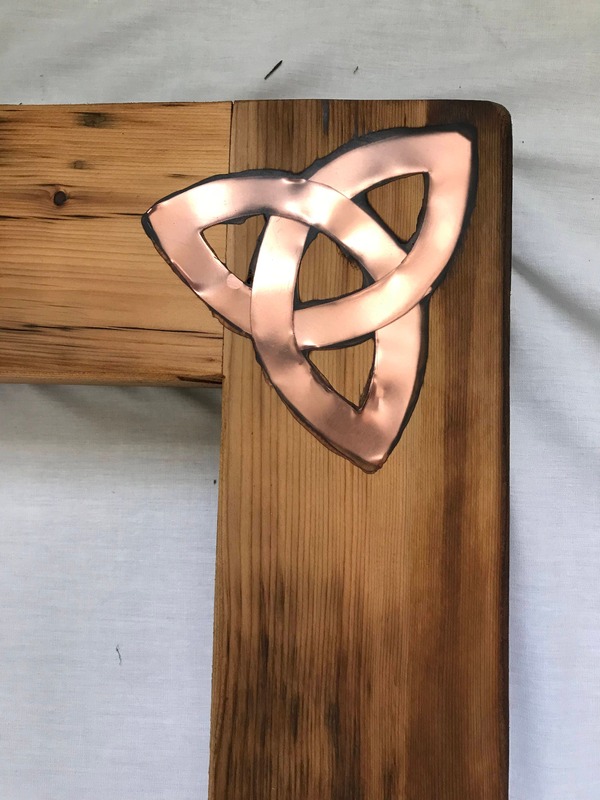 The copper inlay is also done by hand using genuine copper in the Celtic Trinity Knot design. The wood tones add warmth to any décor and the copper inlay adds unique styling. The mirror frame measures 71" x 25" x 3". The face of the frame has a width of 5". The mirror glass is not included in this listing for ease of shipping but can be added by request. The mirror frame does include the backing and the hardware for hanging. We are happy to accept requests for custom sizes! *For mirror glass ordering purposes, the frame accommodates a mirror glass with a 0.25" thickness and a measurement of 62" x 15.75". You can custom order from your local glass shop.